In a Monday article for USA Today, Cavusoglu wrote that the US attempts to undermine Turkish economy had hurt the NATO alliance. “Aiming to undermine an ally’s economy to score domestic political points is deeply misguided. Alienating an ally with which your country shares vital national interests is self-defeating,” Cavusoglu said. The article outlined that the tensions between Ankara and Washington have to resolved through diplomacy, not tariffs. According to Cavusoglu, the tariffs sanctioned by the US on Turkey will not just harm Turkey, but also harm the US and Europe. 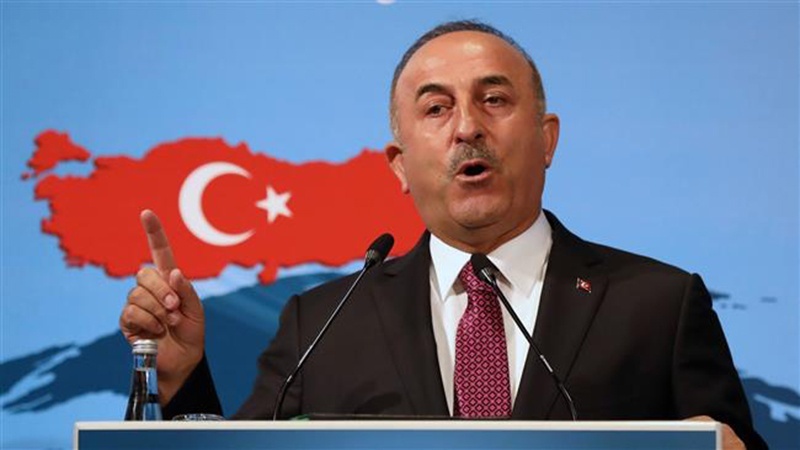 “This reckless escalation needs to stop,” said Cavusoglu. He also highlighted the strategic importance of its Incirlik airbase being used by US-led coalition forces purportedly fighting Daesh terrorists in neighboring Syria. “Over the past two years, we have arrested hundreds of suspected ISIS [Daesh] members, helping to prevent the group’s spread to Western capitals. In the face of this threat, Turkey has been the tip of the spear,” Cavusoglu added. Elsewhere in his article, Cavusoglu strongly denounced Trump’s decision to double US tariffs on a number of Turkish products, while imposing sanctions on two Turkish ministers over the arrest of American pastor Andrew Brunson. Turkey is not a “rogue regime that can be shaken down on a whim,” Cavusoglu said. Turkey and the US are currently experiencing rocky relations following Washington’s imposition of sanctions on two government ministers for not releasing Brunson, who faces terrorism-related charges in Turkey.